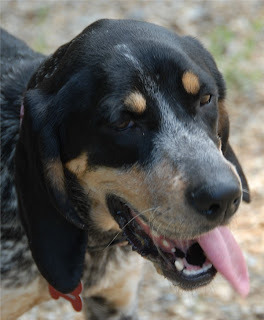 Nellie the Coonhound came to the shelter through a friend in western MA who does dog rescue. She is very sweet and lovable and is enjoying meeting the volunteers and going for lots of walks. She is only a year old and it is hard to believe a dog this nice and pretty was found as a stray.